Enterprise customers often have a centralized decision making process involving on average 7.2 decision makers, and painfully long sales cycles of up to 2 years for a single deal. Identify each stakeholder relevant in your sales cycle and receive all of the data on them needed understand what is important to them. 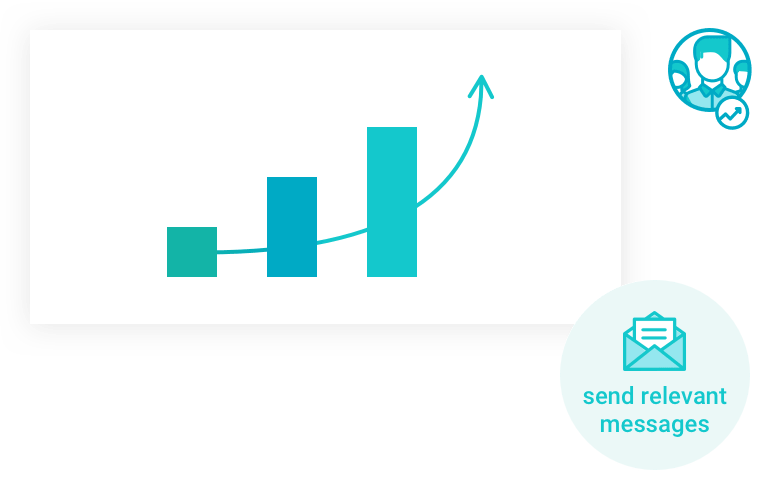 Send one-on-one messages with content that is up to 100% customizable from one contact to another to imitate handwritten messages. Target your top accounts and all of the relevant stakeholders from a single coherent dashboard in an orchestrated approach where you entire team’s outreach is in sync. Entering new markets is a time consuming, risky strategy which requires upfront investment. It should be properly validated with real engagement from the target market before fully committing to it. 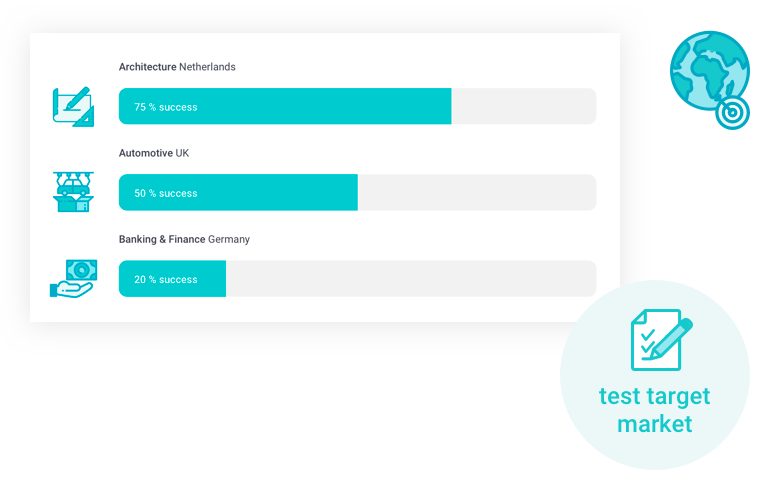 In a short period of 6-12 weeks test out a single market by gathering initial customers and objections thanks to super targeted prospecting and outreach. Pitch different versions of the pain-points and the solutions you are providing to find out which ones resonate with the target market and which ones do not. Collect key data on conversion to identify the right company types, contact types and the right approach before making your the strategic decision to commit to a new market. Traditionally cold calling ruled supreme for business to business outbound sales and still some very successful companies swear by it. The magic however happens when you combine outreach and cold calling in one holistic approach. Free up your team from the highly repetitive work of prospecting and contact information gathering and let hubsell provide your team with the highest quality contacts to target. Supplement cold calling efforts by combining it with email and social in order to systematically convert contacts in multiple channels. 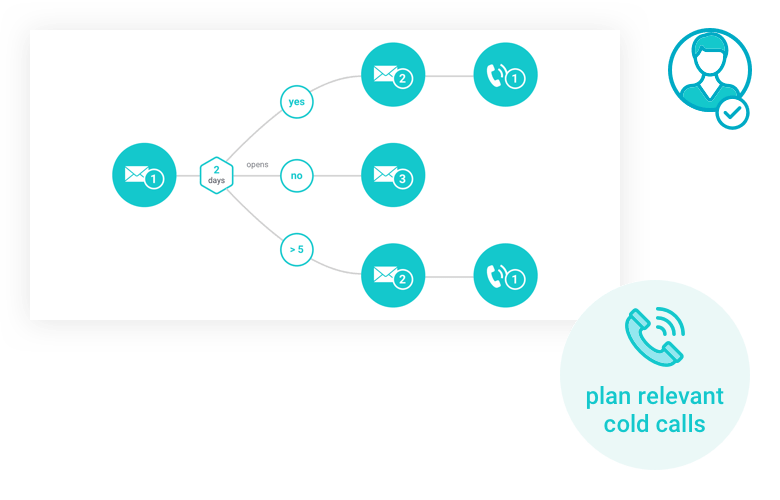 Increase the contact to positive conversion rate by planning contextual and conditional cold calling tasks based on number of opens or links clicked.